We are pleased to announce that Nathan Bean has been promoted to Logistics Manager - Bristol. Nathan will assume responsibilities of the Bristol Shipping Department. 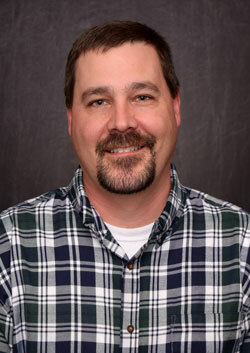 Nathan has been employed by Strongwell since March 30, 1998. He has held several progressively responsible positions at the Highlands facility, most recently as their Operations Coordinator. In his free time, Nathan enjoys being a grill extraordinaire as demonstrated by his collection of Green Eggs. He is also a "foodie" at heart. Please join us in supporting Nathan in his new capacity.